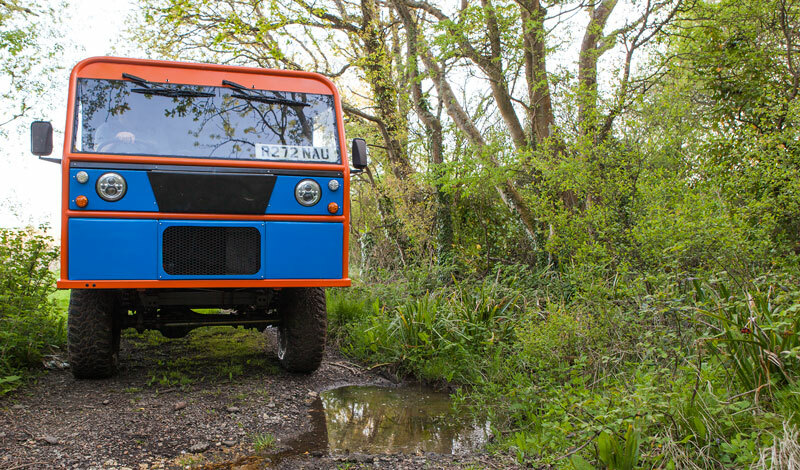 Rotodama was formed in 2016 when the team realised that a large number of Land Rover Discoverys were being scrapped, due to corrosion within the body of the vehicle. Scrapping these vehicles meant that high value, strong, working drivetrains and the chassis underneath the body were going to the scrapyard with many years of service still in them. We believe that when a vehicle has been built, it should be made to last and it should lead a long and effective life - the re-bodying of Discoverys has the potential to double their service life. To us, the obvious solution to the attrition of Discoverys was to develop a replacement body to fit to the rugged Land Rover running gear. The simple and easy to service drivetrain is an ideal candidate to be put to work in agricultural and ‘rough service’ environments. What was originally a ‘Sport Utility Vehicle’ can become a Super Utility Vehicle, in its second life. RoToDaMa takes its name from the team members and making a robust cab that could fit the Discovery chassis became the focus of their spare time activity. Early tests with a tube-frame cab confirmed that the packaging would work and the proof of concept vehicle became an immediate go-to truck for a huge range of jobs on the farm where the workshop was based. Whether it was carrying stuff around, or getting around on soft ground, when other vehicles simply couldn't move. That usefulness made us confident we had built something other people would also find useful, so we pushed forward to make something that could be repeatably and reliably built - which led us to our first road legal prototype.